LibreOffce 5.3 released at 1 February 2017. The 5.3 is the feature-rich and also record-breaking LibreOffice ever. The 5.3 brings the "Ribbon UI", the long awaited feature of many LibreOffice users. But how if you want to install the 5.3 without removing the current version from Ubuntu? Thanks to Flatpak, you can do it. 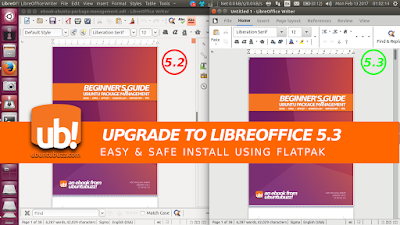 At this February 2017 you can get the latest LibreOffice 5.3 from Flatpak package. 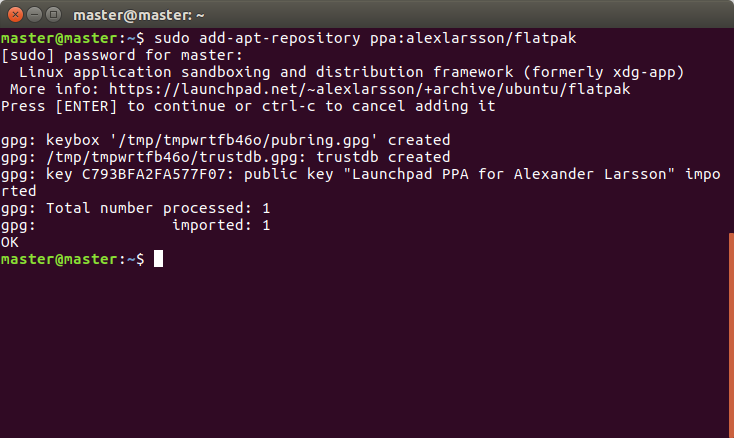 You can either install the .flatpak package or upgrade the already installed package in your system. This article explains both. I hope this will help you a lot. By using Flatpak, you can install different versions of LibreOffice in one GNU/Linux operating system. Flatpak does not remove your original built-in LibreOffice (if any), rather, it installs LibreOffice in separate place in your system. 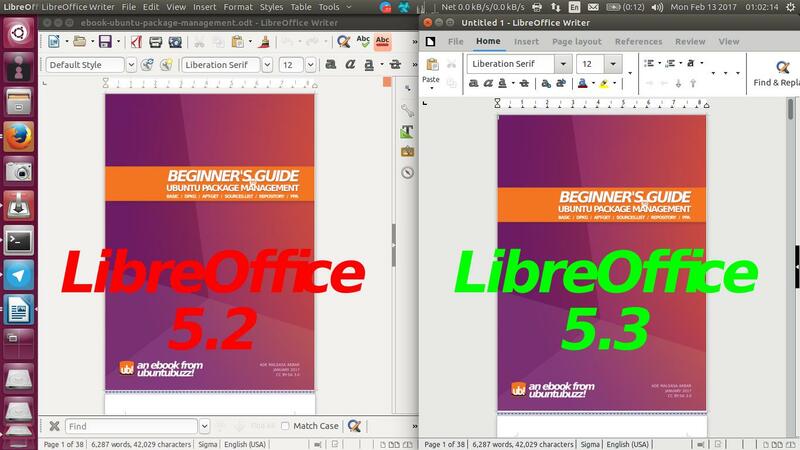 You can run two different versions of LibreOffice at the same time. Use this option when you don't have any installed LibreOffice from Flatpak. The first three commands below do Flatpak System installation, the fourth command does GNOME Platform installation (it's necessary), the fifth command does the actual LibreOffice package, and the last command does the package installation. In February 2017, you will get the 5.3 version. Use this option when you have an installed LibreOffice from Flatpak.This command will download the files needed from TDF repository. Please remember that this upgrade may be stopped in the middle of downloading, but you can always resume it by repeating the same command (press UP button and ENTER). LibreOffice is a free complete office suite for GNU/Linux, Windows, and MacOS. LibreOffice features 6 main programs which are Writer as word processor, Calc as spreadsheet, Impress as presentation, Base as database, Draw as drawing, and Math as equation editor. LibreOffice supports very broad document formats including OpenDocument Format by default and also Microsoft Office's format. Being free software means LibreOffice respects the user's freedom, for example: you may install it on as many computers as you wish, run it for any purpose forever, copy it for your friends, and also redistribute it commercially. LibreOffice is licensed under Mozilla MPL v2.0.